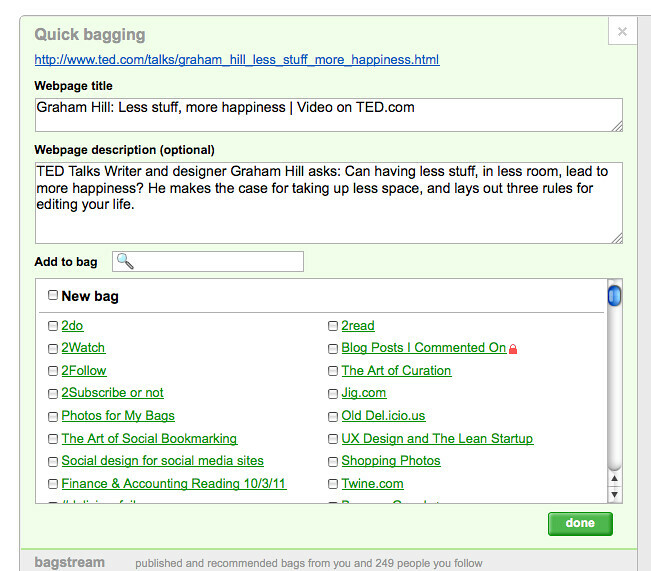 The Quick-bagging box and Multi-bagging bookmarklet use similar user interfaces. Also, #multi-bagging capability is included in the #quick-bagging process. Sign into BagTheWeb.com, you will see the Quick-bagging box at the top of your personal homepage. Paste a webpage link to the box. Now you can edit the title and description of the webpage link. Choose one bag or more bags, than click on the Done button. 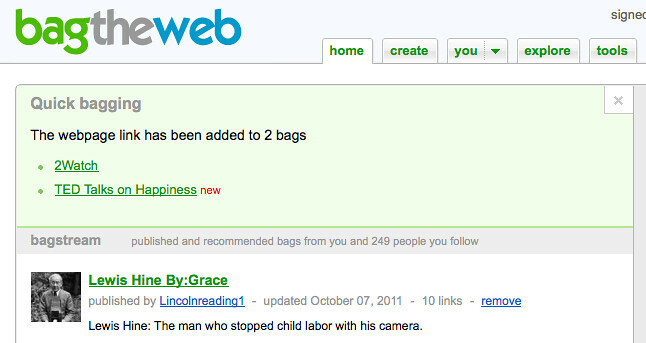 You can also find your bags through the Search box. You can also choose the New Bag option, then type a title for the new bag, or mark it as a private bag. Done! Now you see the result. 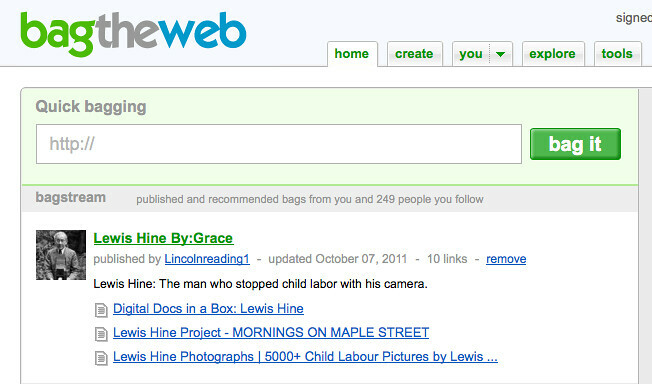 If you add a webpage link to a new bag, you will see the word "new" in red, next to the its title. 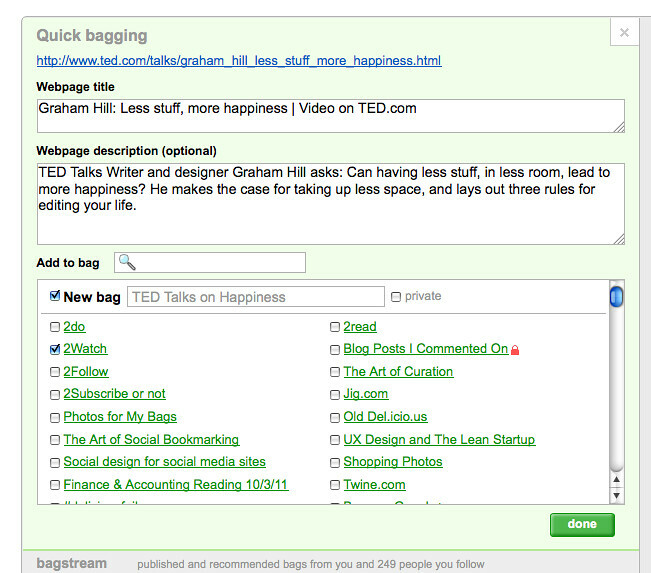 You can go to the new bag for editing description, adding bag icon, or/and adding more links. Want to do bagging while not on our site? You can use our bookmarklet, which has been upgraded to support multi-bagging capability. The multi-bagging bookmarklet's user interface is similar to the Quick-bagging feature. Regardless of whether it’s about “why do you want to volunteer” as well as “why do you want to maintain sports”, our service could possibly get anyone the actual support you’re looking for!